Green tea is one of the most often consumed teas in the whole world. Green tea extract is its concentrated form, with just one capsule containing the same amount of active components as an average cup of green tea. Like green tea, green tea extract is an excellent source of antioxidants. These have been credited with a range of health benefits, from aiding heart, liver and brain health to improving your skin and even reducing the risk of cancer. 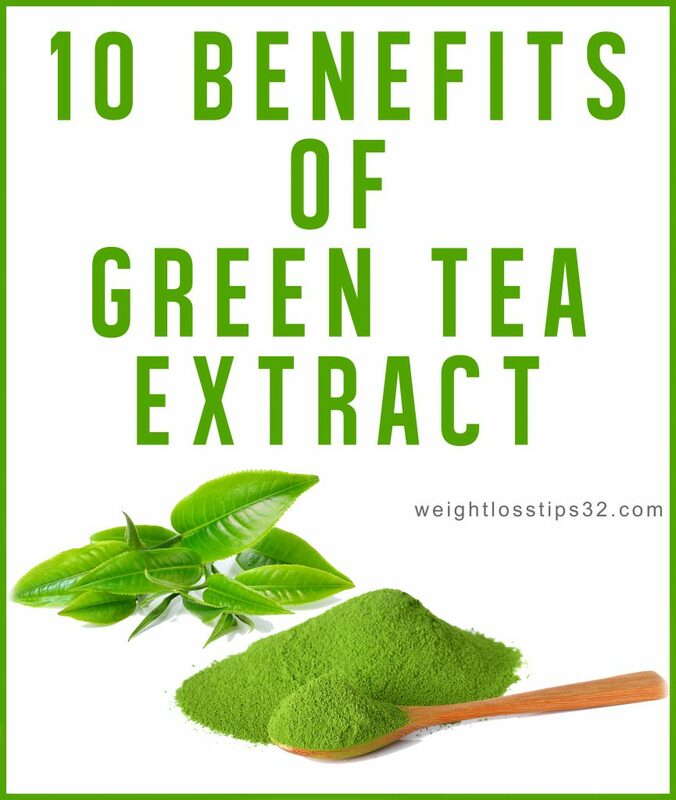 In addition, many studies have examined the green tea extract’s ability to aid weight loss and as a matter a fact, many weight loss products list it as a key component. Our team has gathered to share with you the 10 science-based benefits you get from green tea extract. The health benefits of green tea extract are mostly due to its high level of antioxidants. Antioxidants can help reduce oxidative stress by fighting cell damage created by free radicals. This cell damage is linked with aging and several diseases. Polyphenol antioxidants named catechins comprise the majority of green tea extract’s antioxidant content. Among the catechins in green tea, epigallocatechin gallate or also known as EGCG is the most researched and thought to give the most health benefits. Studies have shown that green tea extract increases the antioxidant capacity of the body and protects against oxidative stress. For instance, one study in which 35 obese people were included, took 870mg of green tea extracts for 8 weeks. Their blood antioxidant capacity increased from 1.2 to 2.5μmol/L, on average. Green tea extracts increases antioxidant capacity, which may help stop various health problems caused by oxidative stress. The antioxidants in the extract, especially EGCG, have been shown to protect brain cells from oxidative stress. This protection can help brain damage that could lead to mental decline and brain diseases such as Alzheimer’s, Parkinson’s and dementia. Moreover, green tea extract can decrease the activity of heavy metals like iron and copper, which both of them can damage the brain cells. Also, it’s been shown to help memory by enhancing the relation between different parts of the brain. One study in which 12 people were included consumed a soft drink containing 27.5grams of green tea extract or a placebo. Then, while the candidates worked on memory tests, brain images were obtained to assess brain function. The group who consumed green tea extract, showed an increase in brain function and improved task performance, compared to the placebo group. The catechins in green tea extract may also help reduce inflammation caused by some liver diseases like non-alcoholic fatty liver disease or also known as NAFLD. In one study, 80 candidates with NAFLD took either 500mg of green tea extract or a placebo daily for 90 days. The green tea extract group showed remarkable reductions in liver enzyme levels, which is an indication of improved liver health. Similarly, 15 patients with NAFLD took 700ml of green tea, which contained at least 1 gram of catechins, per day for 12 weeks. The patients had remarkable decreases in liver fat content, inflammation and oxidative stress. Always keep in mind that it’s very important to stick with the recommended dosage of green tea extract, as exceeding it has been proven to be damaging the liver. Whether taken as a supplement or applied to the skin, the extract has been shown to improve your skin health. A large review of studies demonstrated that when applied to the skin, green tea extract can help treat a variety of skin problems. Also, as a supplement, it has been proven to help with acne and skin aging. For instance, a study showed that consuming 1,500mg of green tea extract on daily basis for 4 weeks resulted in notable reductions in red skin bumps caused by acne. Furthermore, both supplements and the topical application of green tea extract seem to help stop skin conditions like loss of skin elasticity, premature aging, inflammation and cancer caused by exposure to the UV rays. A study in 10 participants revealed that applying a cream containing green tea extract to the skin for 2 months resulted in improved skin elasticity. In addition, a study showed that applying green tea extract to the skin reduced skin damage caused by sun exposure. Fun enough, including green tea extract to cosmetic products has been shown to benefit the skin by providing a moisturizing effect. The catechins in green tea, especially EGCG, have been shown to enhance insulin sensitivity and control the production of blood sugar, which both of them can lower your blood sugar levels. A study gave 15 healthy people a sugary substance and a 1.5g of green tea or a placebo. The group who took green tea experienced better blood sugar tolerance after 30 minutes, and continued to show better results, compared to the placebo group. Another study showed that green tea extract improved insulin sensitivity in healthy young men by 13%. Furthermore, a review of 18 studies concluded that green tea extract is useful in decreasing fasting blood sugar levels. It can also help lower levels of hemoglobin A1C, which is an indicator of blood sugar levels over the past 2-3 months. Green tea extract is available in powder, liquid and capsule forms. A wide selection can be found on Amazon. The liquid extract can be diluted in water, while the powder can be mixed into smoothies. However, it has a strong taste. The recommended dosage of the extract is between 250 to 500mg per day. This amount can be consumed from 3 to 5 cups of green tea per day. However, it’s very important to know that not all green tea extract supplements are created equal. Some supplements have only dry green tea leaves, while others contain isolated forms of one or more catechins. 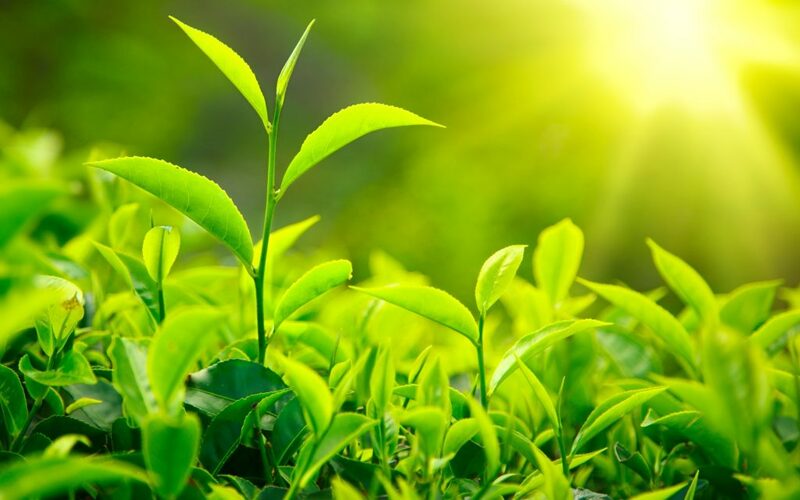 The catechin most likely connected to the health benefits of green tea extract is EGCG, so you’ll want to make sure that the supplement you are consuming contains it. Finally, it’s best to take green tea extract with meals. Both exceeding the recommended dose and taking it on an empty stomach may cause serious liver damage. Green tea extract seems to be helpful in exercise, whether it’s by improving workout performance or boosting recovery. While working out have many health benefits, it’s known to produce oxidative stress and damage cells in your body. Luckily, antioxidants such as the green tea catechins can lower cellular damage and delay muscle tiredness. As a matter a fact, a study in 34 men showed that green tea extract combined with strength training for 4 weeks enhanced the body’s antioxidant protection. Also, 13 sprinters who used the extract for 4 weeks showed increased protection against oxidative stress produced by repeated sprint sessions. Moreover, green tea extract seems to benefit workout performance. One study found that 14 men who took green tea extract for 4 weeks increased their running distance by 10.9%. The maintenance of your body’s organs and tissues is characterized by cell death and re-growth. Specialized cells known as stem cells make new cells in order to replace those cells that die. This process keeps the cells healthy and active. However, when this balance is disrupted, cancer can occur. This happens when your body starts making dysfunctional cells, and cells don’t die when they should. The antioxidant EGCG in green tea extract, seem to have favorable effects on the balance of cell production and death. One study investigated the effects of taking 600mg of green tea catechins on daily basis for one year on patients at risk of developing cancer. It found that the likelihood of developing cancer was 3% for the green tea group, compared to 30% for the control group. One study had 15 people take a capsule containing a mix of EGCG from green tea, caffeine and guarana extract before each meal. It is then examined the effect on calories burnt. It found that the candidates burned 180 more calories, on average, in the following 24 hours. Another study showed that 10 healthy men burned 4% more calories during the 24 hours after taking a green tea extract capsule which contained 50mg of caffeine and 90mg of EGCG. Also, a 12-week study in which 115 overweight women were included, took 856mg of green tea extract on daily basis, observed a 2.4 pounds weight loss among candidates. Oxidative stress increases fat buildup in the blood which promotes inflammation in the arteries and results to high blood pressure. Luckily, the antioxidants in green tea extract can decrease inflammation and help lower blood pressure. They can also inhibit fat absorption in cells, helping lowering blood fat levels. In one study in which 55 obese people with high blood pressure took 379mg of green tea extract daily for 3 months. They showed a remarkable decrease in blood pressure, compared to the placebo group. 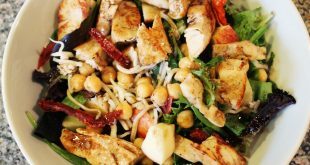 In addition, they experienced notable reductions in blood fat levels, including lower triglycerides and total and LDL cholesterol. Another study in 35 healthy people found that taking 250mg of green tea extract on daily basis for 8 weeks reduced total cholesterol by 3.9% and LDL cholesterol by 4.5%. Given that high blood pressure and high blood fat levels are risk factors for heart diseases, controlling them can promote heath health.